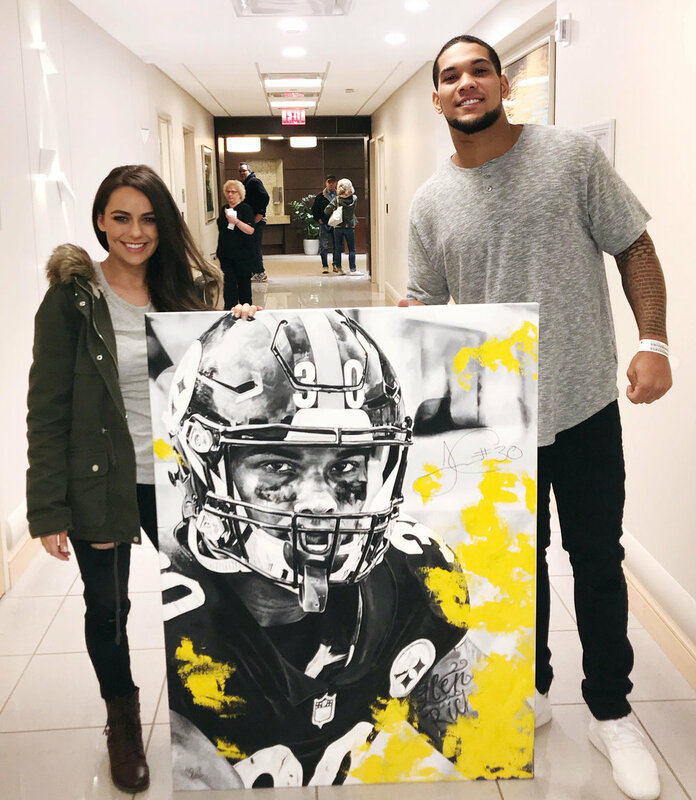 As you read in the previous blog post I had the pleasure of creating artwork and attending the Game Changer and Mike Ditka Day Celebration Gala in honor of the Save Jon Foundation. This year the Game Changer Gala was held July 30th at Heinz Field in Pittsburgh, Pa. Coach Ditka along with multiple doctors and founding members, Dr. Lisa Boyette and Dr. Dietrich Stephan serve as executive and active board members to serve Save Jon's mission. Throughout the evening aligned a ray of entertainment with everyone suited in their tux and gowns. Throughout the course of dinner were speeches by multiple PSC survivors and activists including Jamie Redford, Dr. Coach Mike Ditka, and performances by Broadway singers. View the slide show below to view photos of the Game Changer Gala! All rights and photography provided by Lovas Photography.